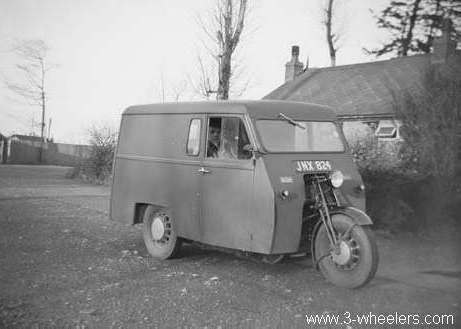 The Reliant Engineering Company was founded in 1935 by design engineer Tom Williams after his previous employer, Raleigh, decided to cease production of its three wheelers. He initially operated from a workshop in his garden but soon moved to the Two Gates site in Tamworth where Reliant production was based until its demise in the 1990's. 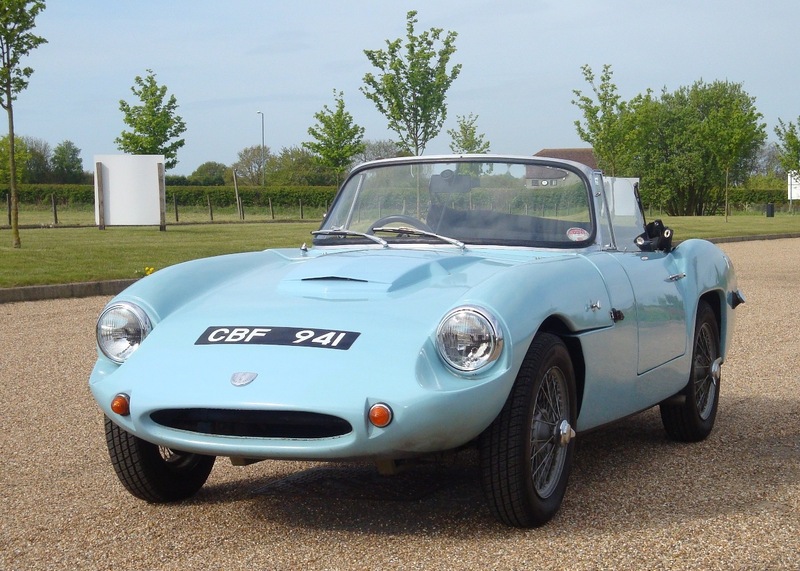 In 1956 Reliant became one of the first companies to make their car bodies using glass reinforced polyester or glassfibre. The photo on the right shows Reliant's first product. Up until the late 1950's Reliant's products centered around their three wheelers. They were also in collaboration with Autocars in Israel resulting in a couple of 4 wheel economy vehicles. In 1960 the boss of Autocars, Yitzhak Shubinsky, had a plan to make a sports car to sell in America and boost Israel's export earnings. Visiting the Racing Car Show he took a fancy to a body from specials manufacturer Ashley Laminates (photo on left) and a chassis from Lesley Ballamy. He then persuaded Reliant to cobble these two elements together, with a Ford Consul 1703cc engine, to produce a single car. A prototype was quickly produced (photo on right) and was displayed at the New York World's Trade Fair in May 1961. It is clear from the photos that the Ashley and the prototype are related. The Prototype is still alive and well today and more information about its life over the years is given here. From the prototype came the production car to be called Sabra which is a cactus that grows in the Mediterranean area including Israel and is also the name of honour adopted by Jews born in Israel. The production cars retained the peculiar semi-leading (flailing) arm front suspension and utilised leading and trailing arms to locate the rear axle. Autocars were not ready for home manufacture so the first 100 or so cars were made by Reliant and shipped directly to America. 162 LHD Sabras were eventually made by Reliant and exported. Autocars went on to make a further 171 Sabras in Israel. Most of these were exported, with Belgium being the biggest market. Production in Israel continued until 1968. There are a number of subtle differences between the Sabras made by Reliant and those made by Auocars including the shape of the rear wheel arches and the design of the rear light assemblies. The photo on the right is of an Autocars built Sabra. Having developed the Sabra, Reliant's MD, Ray Wiggin, decided it would be a good idea to sell the car as a Reliant in the UK. So a couple of early cars were converted to right hand drive, given a subtly different name, Sabre, and launched at the 1961 London Motor Show. The car was not well received by either the press or the public due perhaps to its unusual frontal appearance and its poor performance and high price compared to its competitors. A mere 44 Sabre four cylinder cars were sold during 1962 and 1963. The introduction of the Sabre onto the UK market resulted in a dispute between Les Ballamy and Reliant as, according the Ballamy, the use of his chassis design was conditional upon the resultant car being sold overseas only and hence not directly competing with his own product. Ballamy was also very upset with Reliant because, in his opinion, their suspension modifications, including the conversion to coil springs and the adoption of leading and trailing rear suspension radius arms, destroyed the handling characteristics of his chassis. To try and address the car's lack of appeal, Reliant decided to introduce, in 1962, a six cylinder version to be called the Sabre Six. This used the Zodiac 2553cc straight six engine and the front was shortened, replacing the original car's "horns" with more conventional looking bumpers and overriders. Most Sabre Sixes were supplied with four speed gearboxes with overdrive on 3rd and 4th. Initially the Sabre Six chassis was as the earlier Sabre Four but it was soon realised that the "flailing" arm front suspension was totally unsuitable for the new car's greater weight and, after 17 cars, this system was replaced with a double wishbone system utilizing components from the Triumph TR4. The car was now competitive in terms of price and performance but sales were still very poor. From its introduction in 1962 only 77 were completed before production ceased in 1964 to make way for the Scimitar Coupe (SE4). 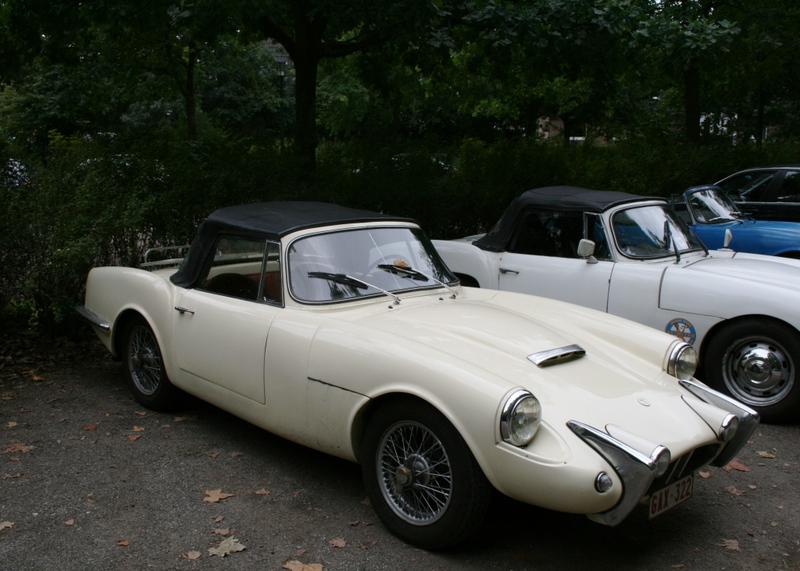 Interestingly whilst all but four of the Sabre Fours were convertibles, only two of the Sabre Sixes were convertibles, the remainder being fixed head GT's. Both convertible Sabre Sixes survive today. 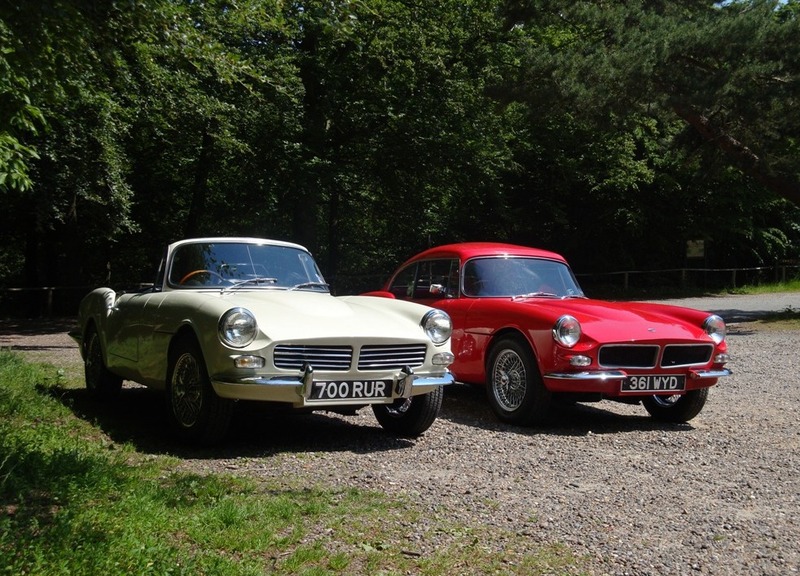 The photo on the left shows one of the two Sabre Six convertibles alongside its GT cousin. 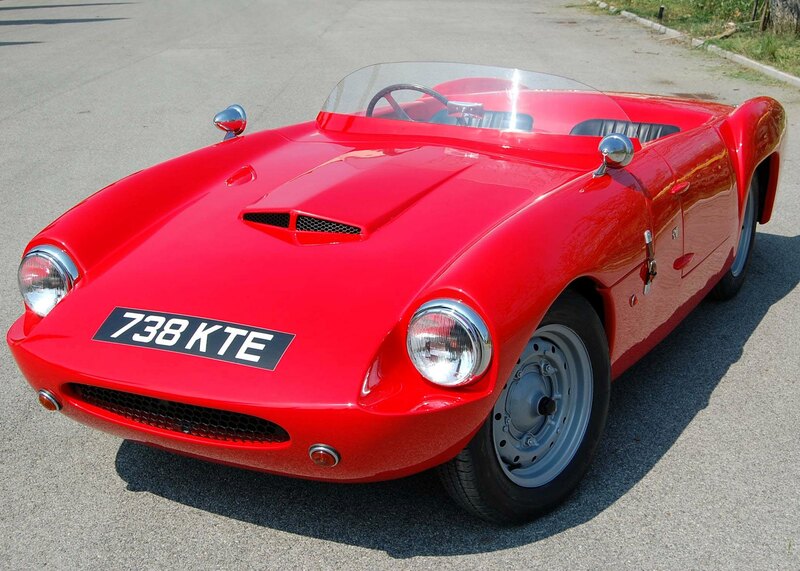 In the early 1960's Reliant entered Sabre Fours and Sixes in international rallies such as the Monte Carlo and the RAC. They were driven by the likes of Roger Clark and Raymond Baxter. Results were limited to a handful of class awards.